Yes, another one from my own collection & 100% as it should be. NO breaks in the usual places, has orig cardboard case & even some paperwork.Left handed Vibrola trem still intact,even if it has a righty arm, more than likely shipped from the factory that way.Pots date from 31st week of 1966,output jack original. tone capacitor looks like it has been changed, but honestly, find another `60's lefty Junior ANYWHERE in the world!! Plug it in, what do you expect?? 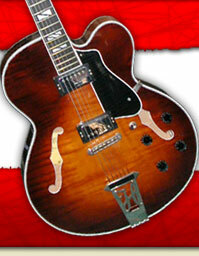 1 x P90 , 1 x Mahogany body.. Game over.